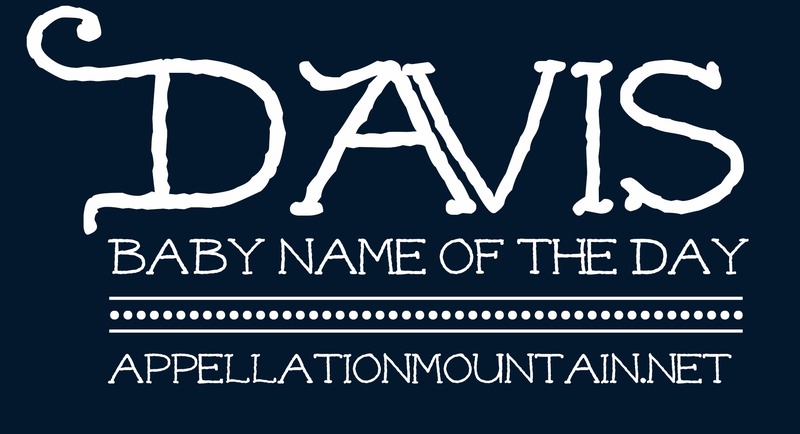 David is an evergreen classic, a Biblical name with a long history of use. 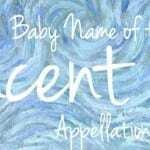 Today we look at a surname spin that’s just slightly different. 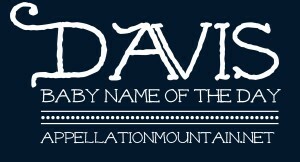 Thanks to Elisabeth for suggesting Davis as our Baby Name of the Day. Davis sits at the intersection of two trends: first, he’s a surname. And hello, Mason and Jackson and Hunter, too, that’s a big category. But also, he’s got that ‘s’ ending, just like Miles and Brooks and a handful of other up-and-coming choices. Speaking of Miles, jazz legend Miles Davis takes this name in a musical direction. From Lennon to Ellington, parents have been willing to consider the surnames of their musical heroes as given names for their children. Davis owes some of his swing to the groundbreaking trumpeter, bandleader, and composer. He’s also a member of the Rock and Roll Hall of Fame. There’s Jefferson Davis, first and only president of the short-lived Confederate States of America. This isn’t the best association – and might be a reason for parents to cross this one off their shortlist. But is he really the first thought for most of us in 2014? The University of California, Davis springs to mind. It’s a major research institution, just west of Sacramento. And while it may be overshadowed by UCLA and UC Berkeley, UC Davis has been named a “public Ivy” and boasts a major medical center. 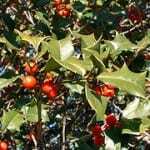 It has a rich agricultural history, and that’s appropriate – originally known as Davisville, the town took its name from farmer Jerome C. Davis. Some of his land is now part of the campus. I also think of legendary actress Bette Davis, and international tennis tournament the Davis Cup, established by a group of tennis-playing Harvard students, led by Dwight Davis. If you’re a fan of Smallville, the prequel to Superman, you might think of Davis Bloome, the show’s version of Superman nemesis Doomsday. Another small screen reference: During the 2010-11 season of One Tree Hill, former head cheerleader Brooke had married Julian. 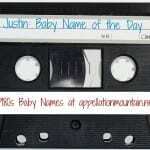 The couple named their kids Jude and Davis – Brooke’s maiden name. It’s a collection of random references, with no single use powerful enough to push the name into the spotlight. But that’s part of his charm. In 1880, Davis was the 425th most popular name for boys born in the US. In 1918, he ranked #519. He’s held remarkably steady over the years: #527 in 1938, #747 in 1968, #559 in 1988, #406 in 2008. He made it as high as #362 in 2001, but that’s still relatively uncommon. So Davis stands out for his long and steady history of sparing use. There are plenty of reasons to consider this name. Besides the possibility that Davis is on your family tree, or that you’re looking to honor a David, he fits into that elusive “familiar but not strange” category – a tough spot to hit, especially for boys’ names. If you’re after a boy’s name that feels classic and on trend, but won’t be shared by others, Davis is one to consider. This list is on my long list thanks to Miles Davis (as is Miles). We have a close cousin named David though so we won’t be using it. A Canadian television reference (soon to be movie!) for this name is Sergeant Davis Quinton on the sitcom Corner Gas. *This name is on my long list…. Thank you!!! Such a great write-up of one of our favorite choices 🙂 I’m so embarrassed I emailed you about it again this week, I should have checked to see if it was already on the docket!! Pregnancy brain! Do you think it’s too similar to Sadie?